Top 5 Wednesday: Authors I need more from? Ok so I missed last week and im sorry, BUT THAT ONE WAS HARD! I really couldnt find anything for it so I decided to just skip last week and move on. Authors You Are Waiting on Another Book From. I am a very very big fan of the Throne of Glass series and I adore everything about it, I hate that the series is pretty much over but I know ill be reading Empire of storms as soon as I get my hands on it on September 6th. Basically, I NEED EVERYTHING SARAH WRITES! I am a YA junkie especially when it comes to fantasy or paranormal etc, So i obviously adore Cassandra and all her writing. I have yet to read Lady Midnight but I know ill love it and I cannot wait for every book she is planning on bringing out. Cassandra is definitely an auto buy for me. Now I have only recently read my first ever Peter V Brett book and so far its been o ne of the best books ive read this year. I read book 1 of the Demon cycle and i am starting The Desert Spear very very soon, however before i get 656921846% investing in this series i NEED to know that The Core will be getting released sometime in the near future as one of my closest friends has been waiting on it for what seems like forever! Do you ever just read a book and feel like you should be friend s with the author because they write exactly how you think? This is how I am with Marissa Meyer, after reading The Lunar Chronicles last year I just fell in love with her characterization and world building. I would LOVE for more books to be released by here. I have only recently delved into the world of Victoria Schwab and i adore her writing style, she is definitely an author that has taken the world by storm and i can totally see why. I am 100% sure i am going to make a point of buying all of her published works because I love how she writes and hence why I need more from her! So that’s my Top 5 authors i need more from! I hope you liked this as I found it a little difficult to know exactly what to write without rambling! So do you have any authors you want more books from? Let me know I am in dire need of a few recommendations! Next Finding an independent bookstore. I ADORE Victoria Schwab! I got to meet her a few years ago at a book tour thing when she was promoting… Was it The Near Witch? I think that’s what it was. She was a sweetheart, and since then… well. I need to catch up on the Darker Shade of Magic series, but I’m in loooove. I’m so glad you included her on the list! Haha thank you so much! I’m so jealous that you got to meet her! Although I totally believe you about her being lovely, she seems so nice! I have been wanting to read something by Cassandra Clare for sooooo long but still haven’t got around to doing so and I really need to! Great picks though. Thank you so much! P.s your blog is gorgeous! I love the layout! Thank you so much! I need to check out Maria V Snyder! I’ve never read any of her work! Poison Study is hte first book I read by her, it’s amazing, one the best books I have ever read. I really wish I was able to go but because I don’t live on mainland UK I couldn’t 😫. Haha believe be gush all you want! Have only read Cassandra Clare and Victoria Schwab, but agree completely! Great list, Lish. We share reading preferences, so this added a few authors to my list! That’s great! I think all the authors I’ve mentioned are generally quite good so I hope you enjoy them! I’m waiting on Patrick Rothfuss and his third/final book in the friggin King killer Chronicles. Uggh! 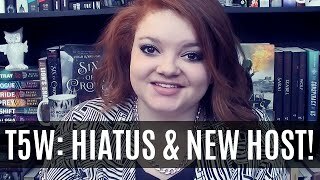 Take your time, Rothfuss has been pushing back the final book for 2 summers now. Though he put out a lovely novella and short story, that I haven’t read yet, set in cannon.